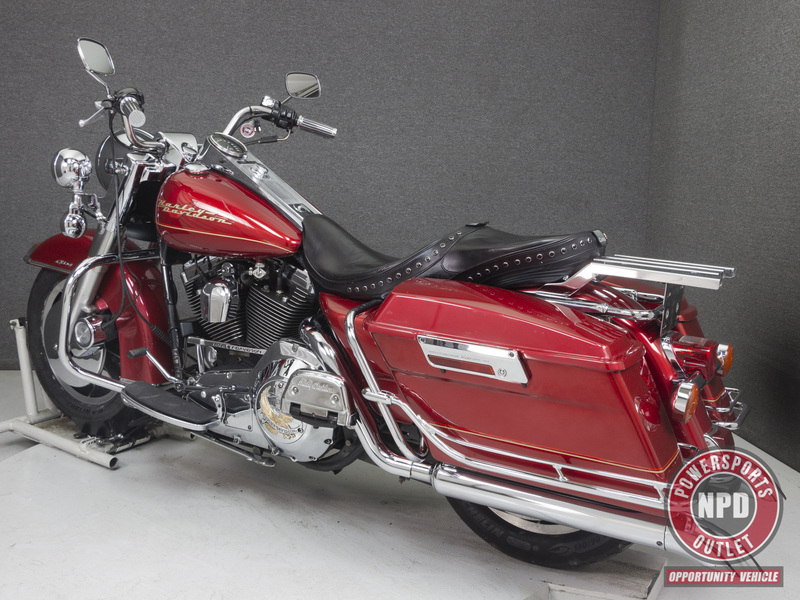 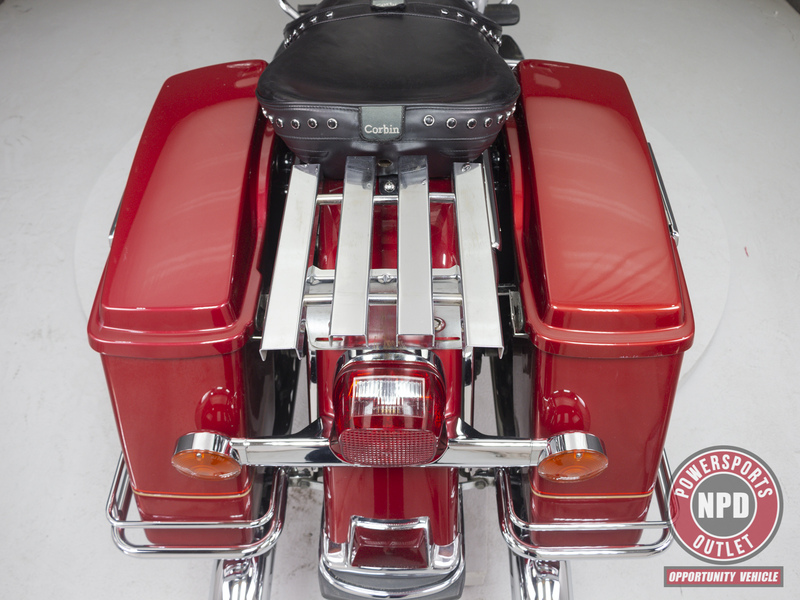 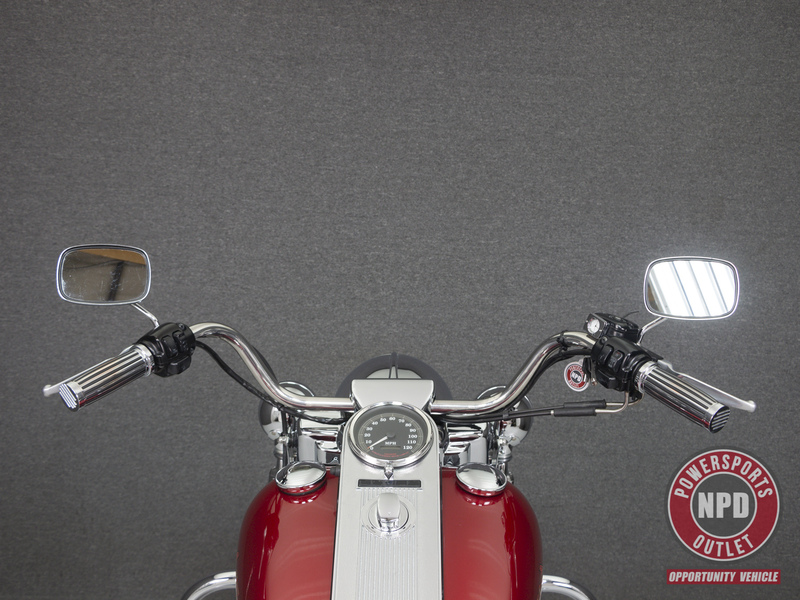 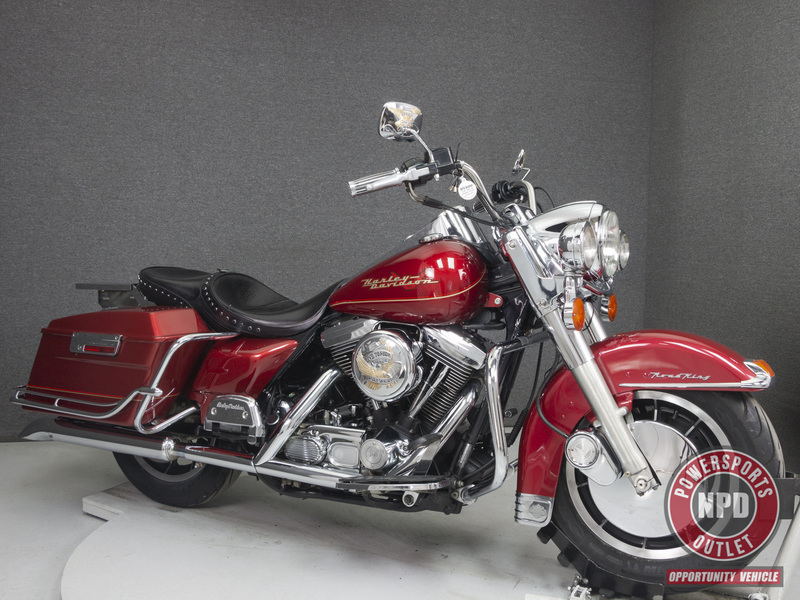 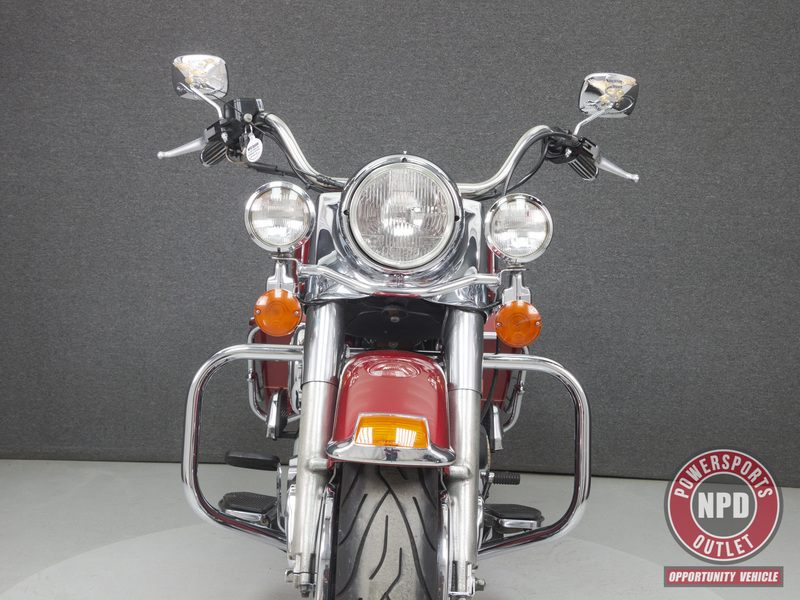 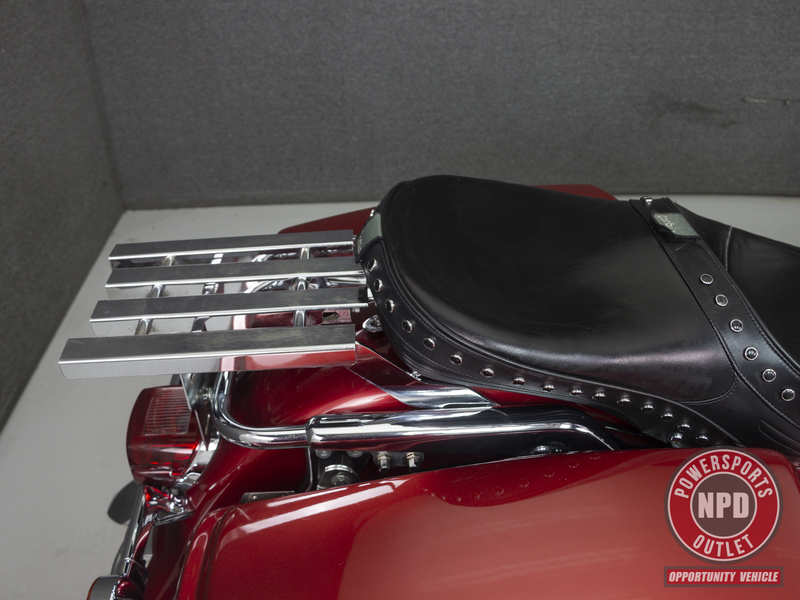 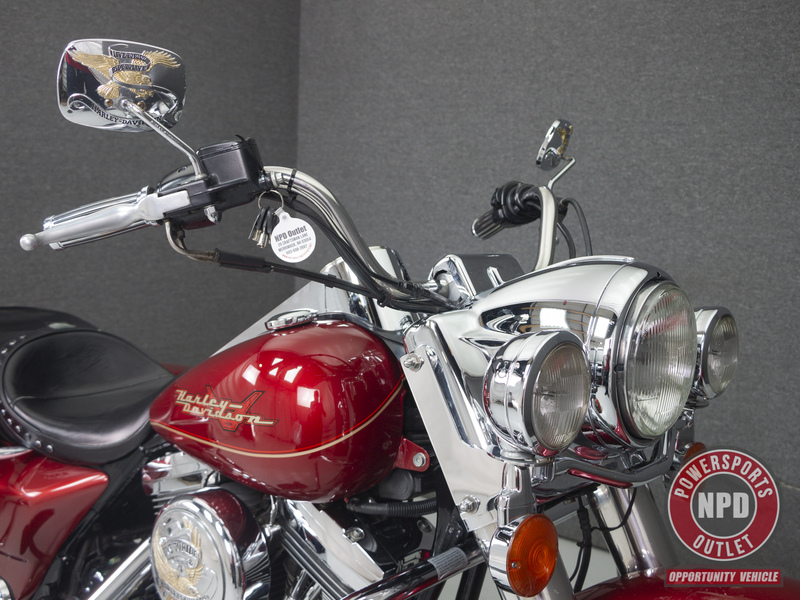 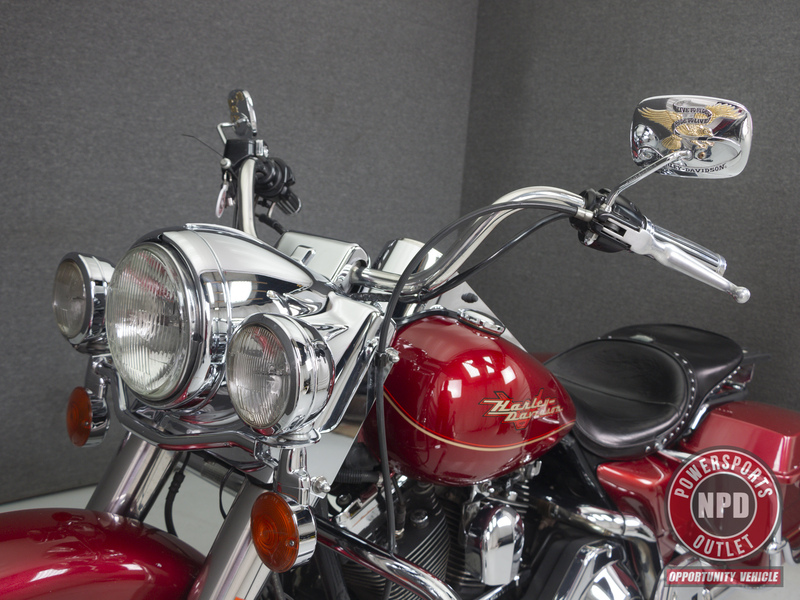 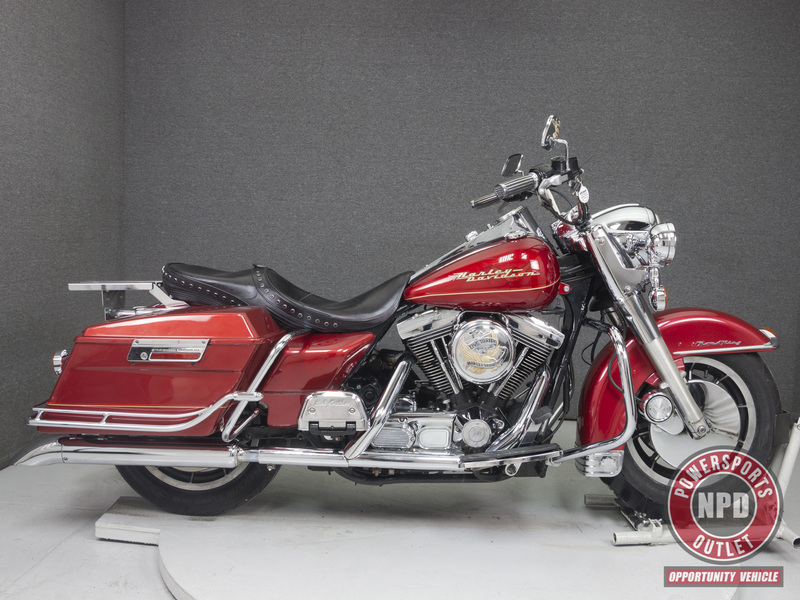 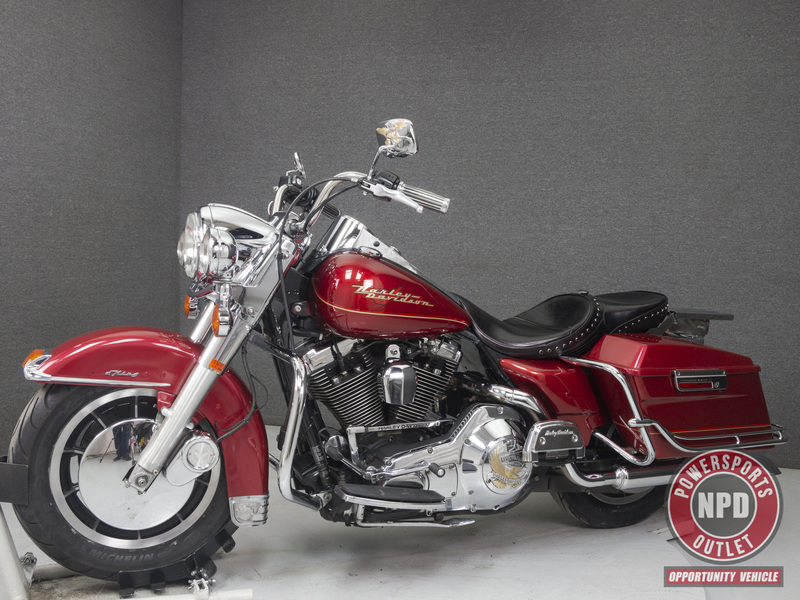 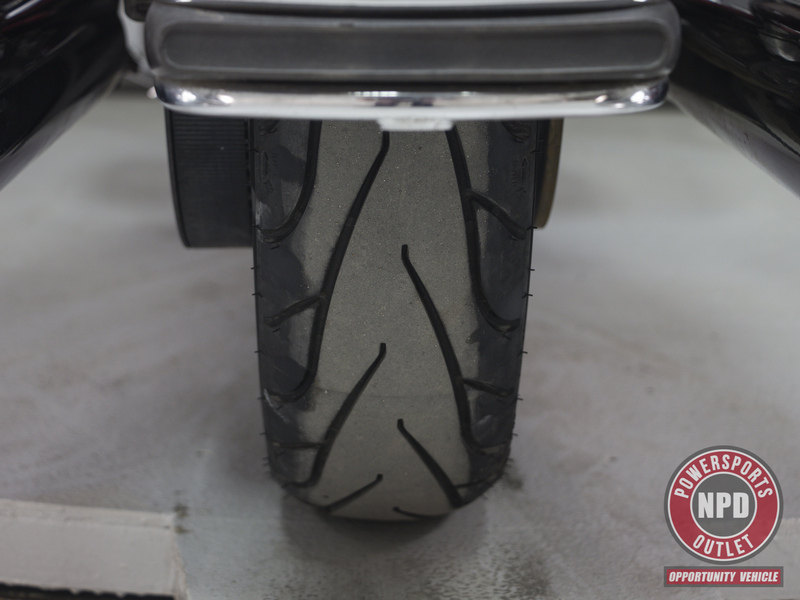 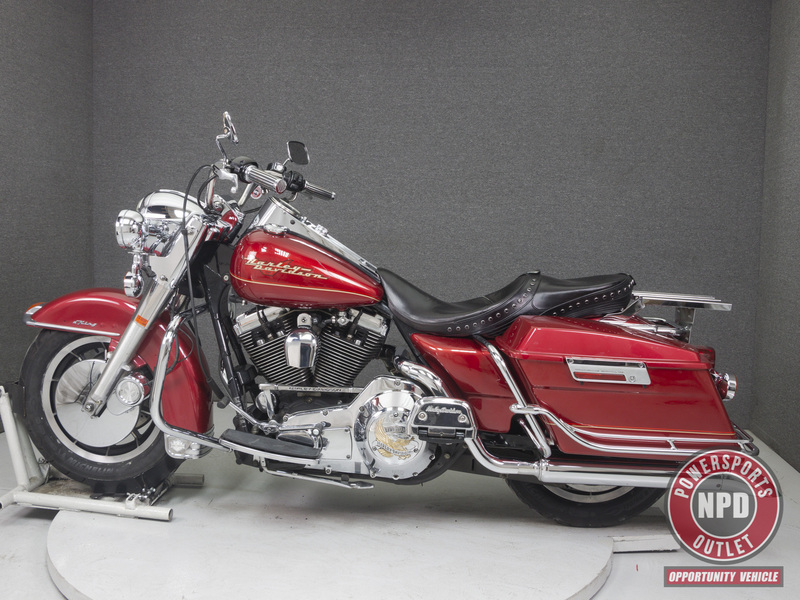 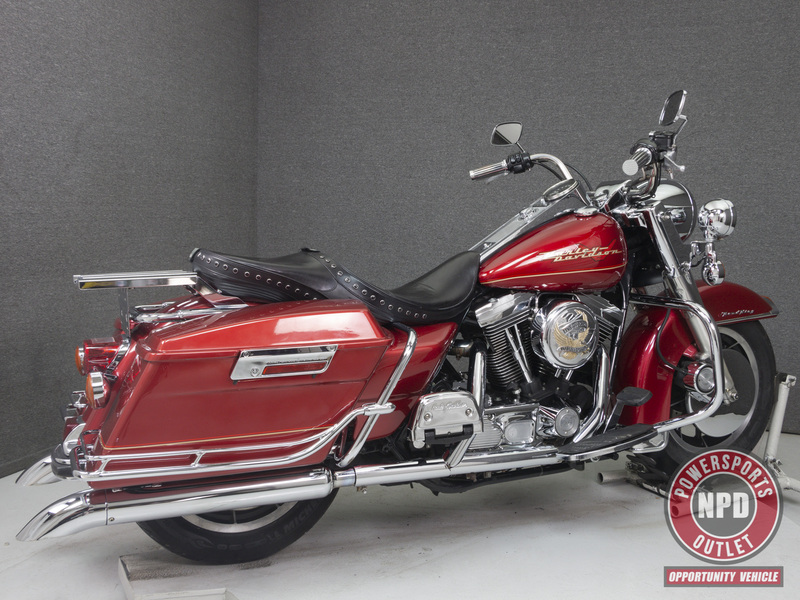 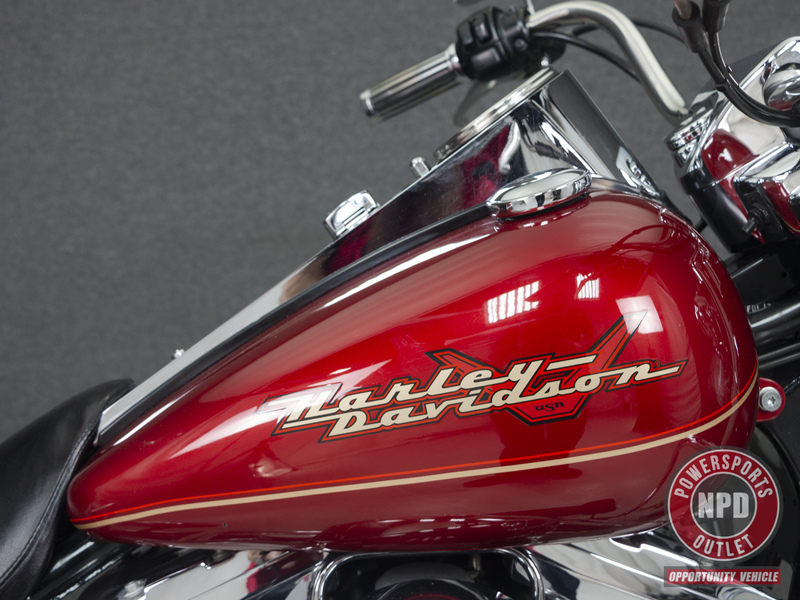 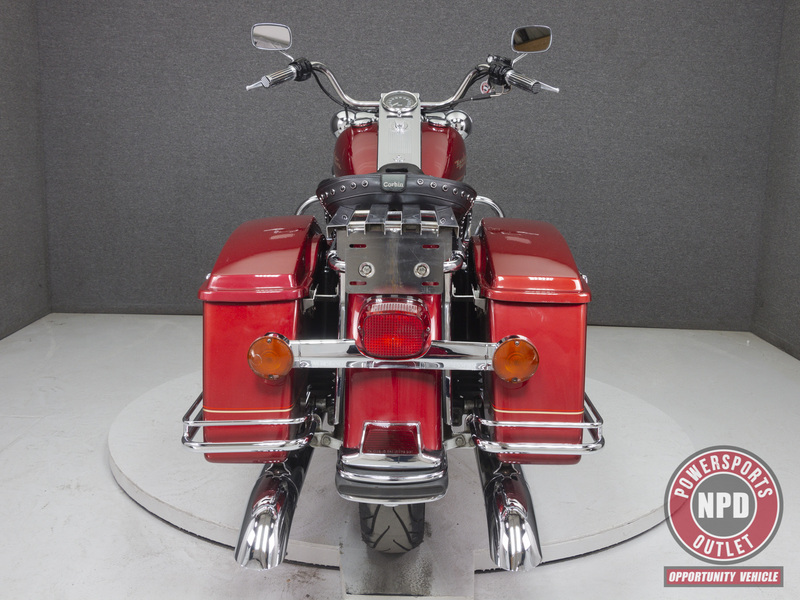 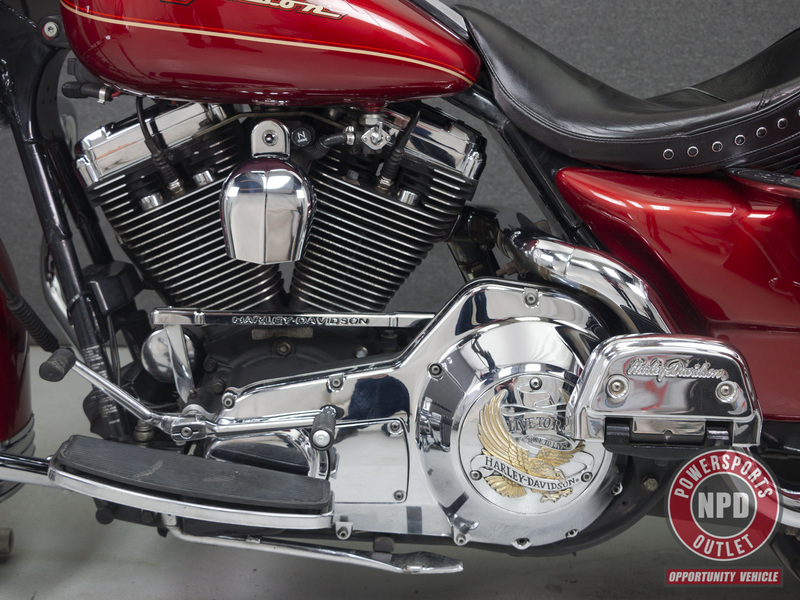 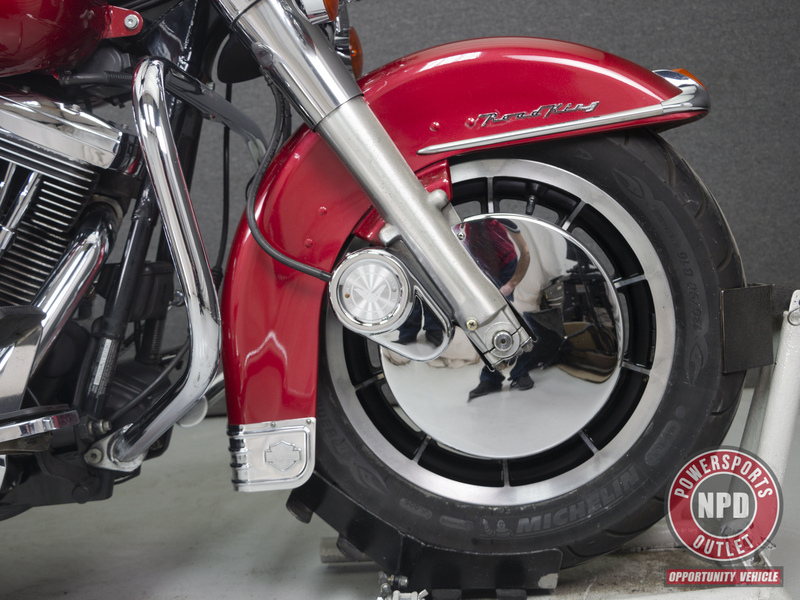 This 1998 Harley Davidson Road King has been detailed and passes NH State Inspection. 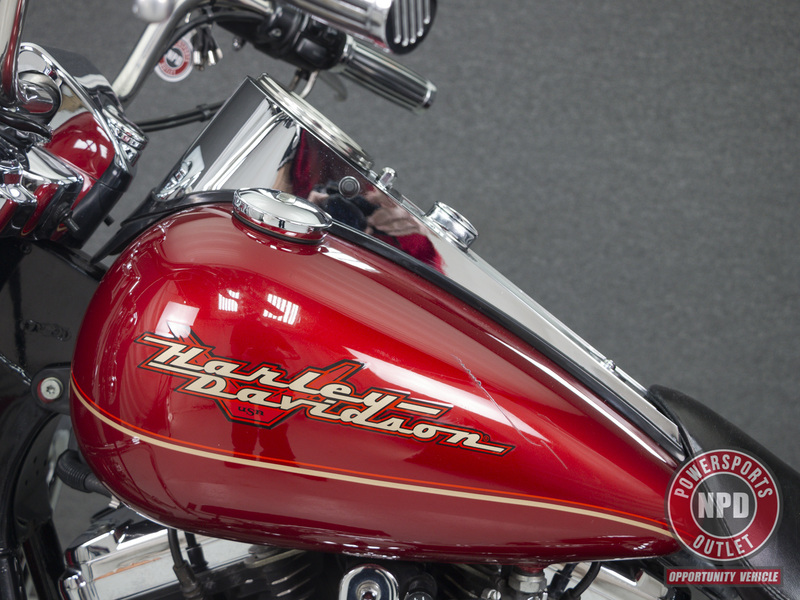 It runs, rides, and shifts with smoking on startup. 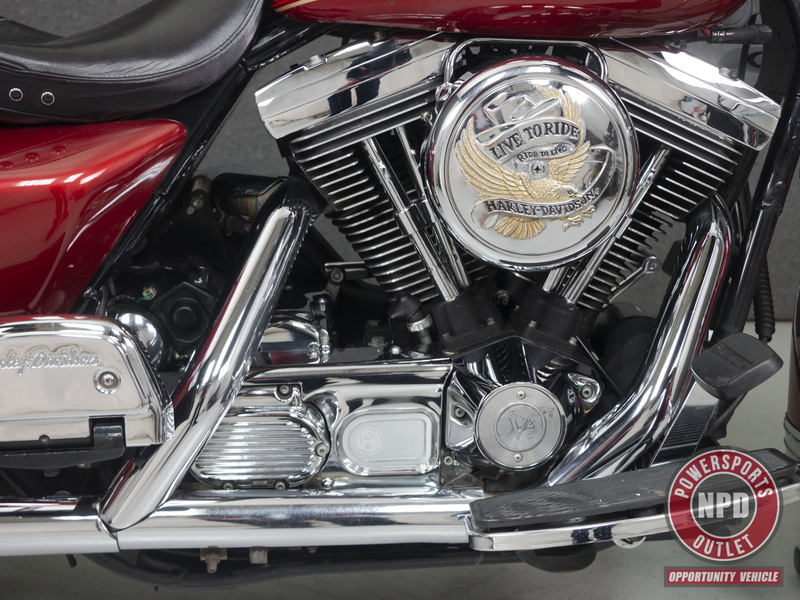 Powered by an 80 cu/in v-twin engine with a 5-speed transmission, the Road King puts out 67 horsepower at 5,200 rpm and 81 foot-pounds of torque at 3,100 rpm. 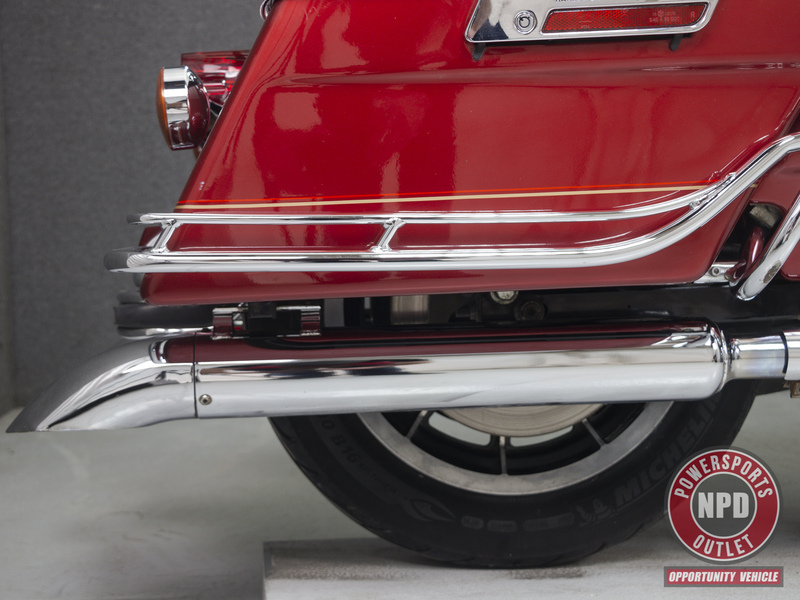 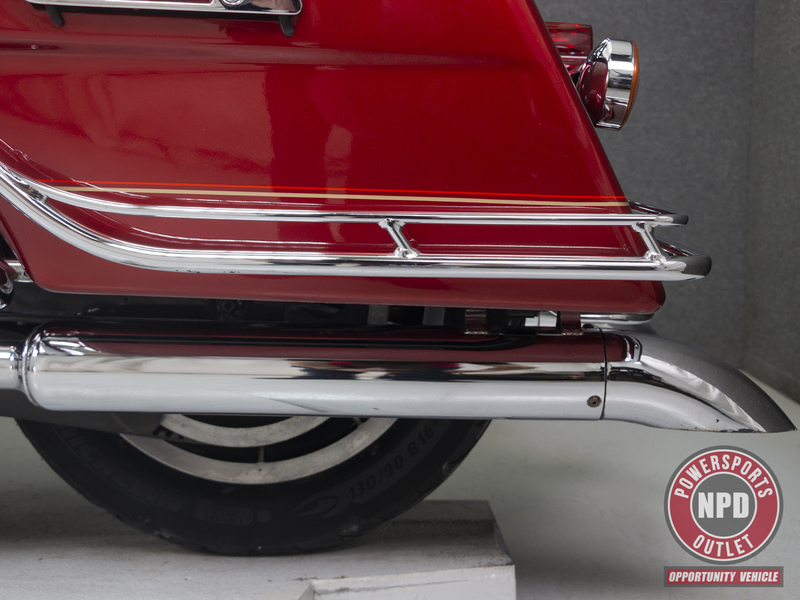 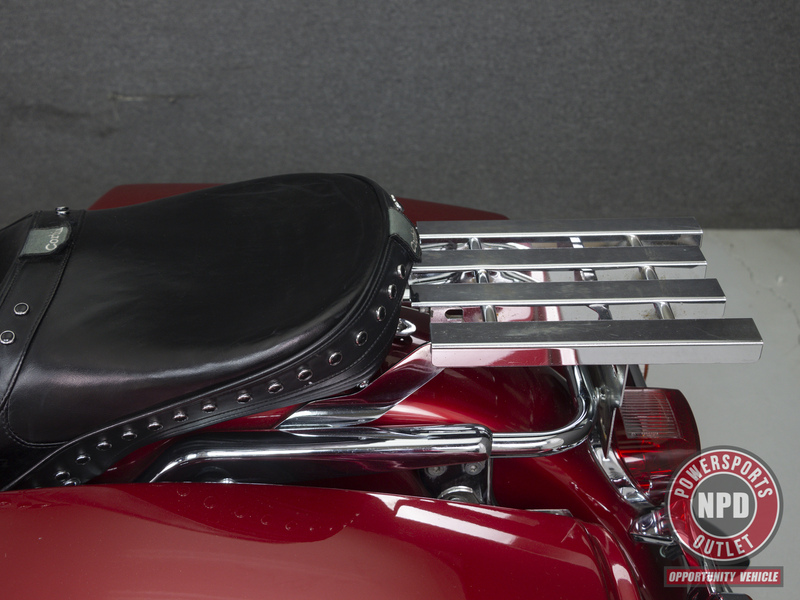 It has a seat height of 27" and a dry weight of 760 lbs. 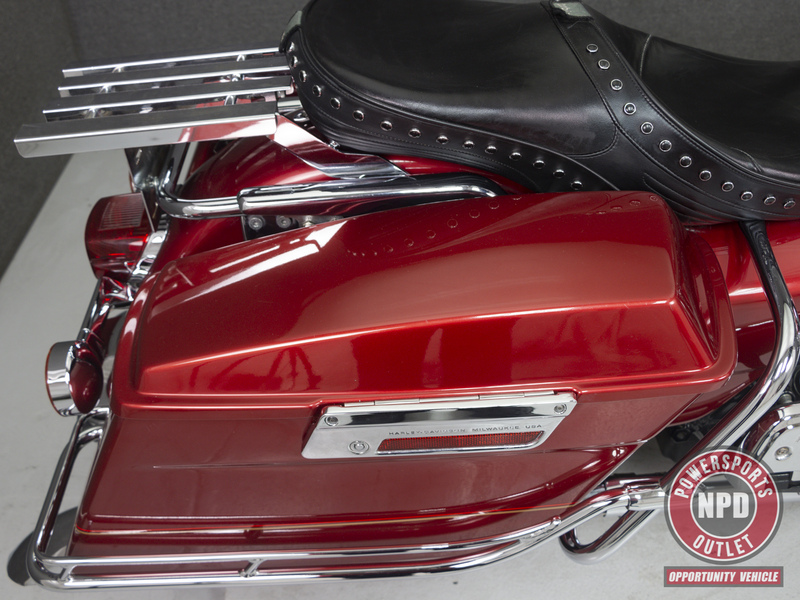 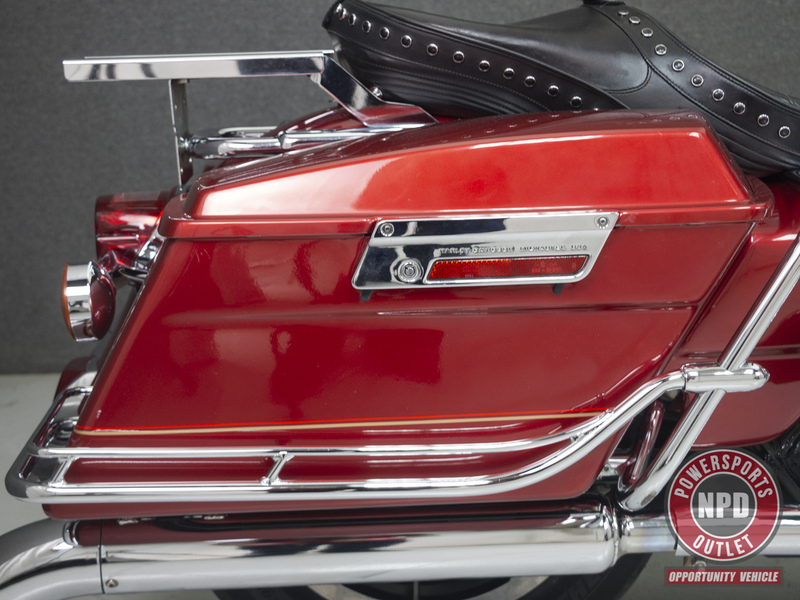 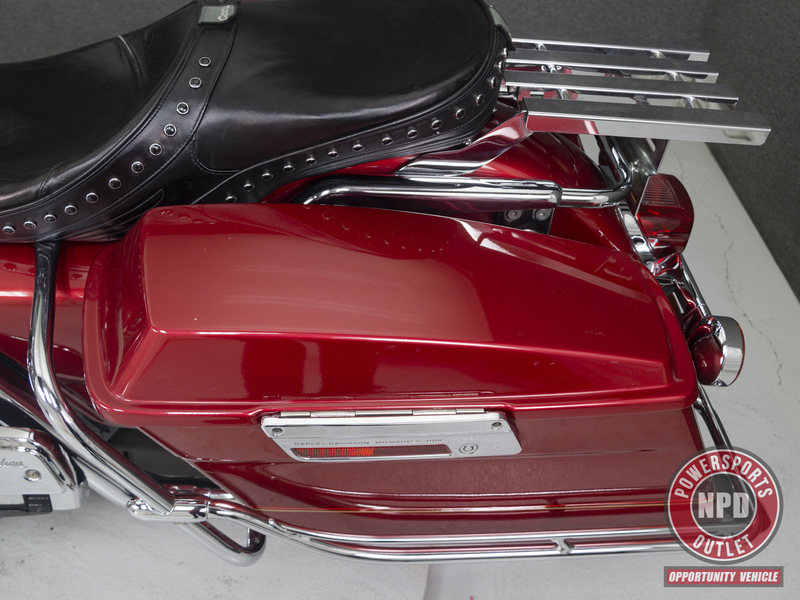 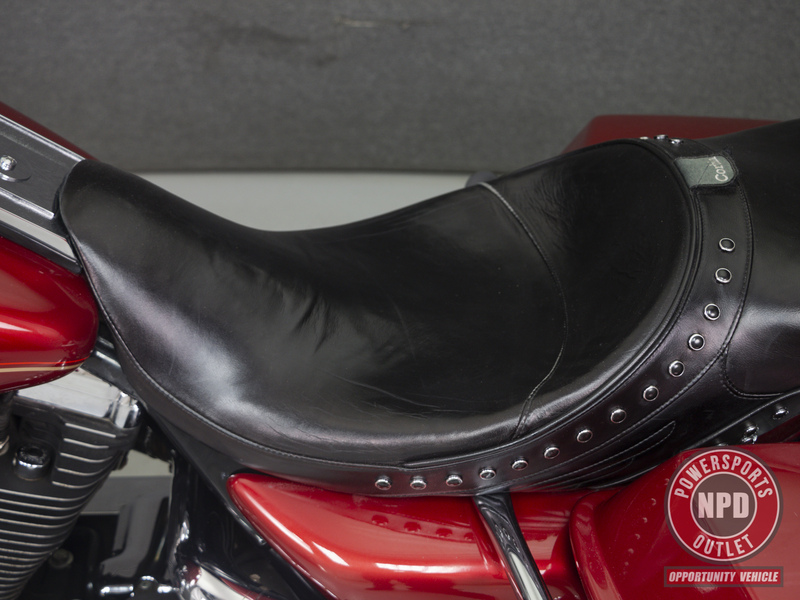 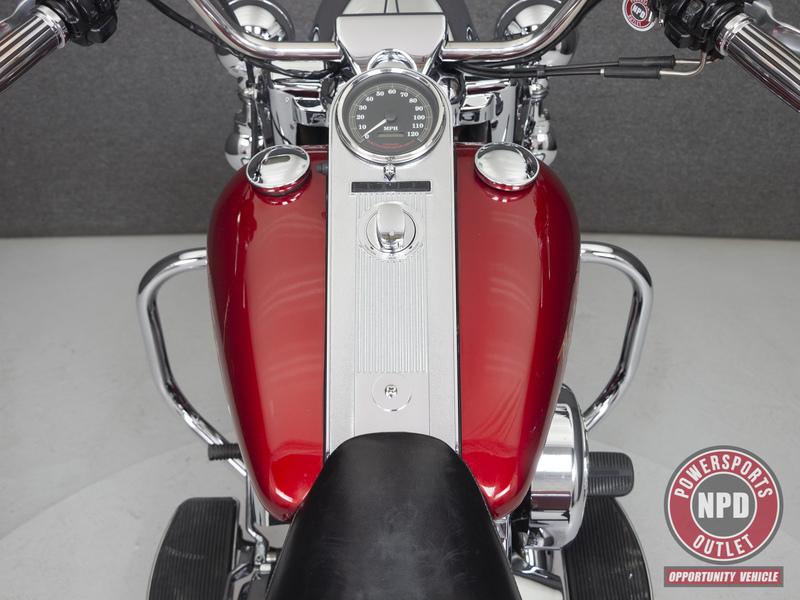 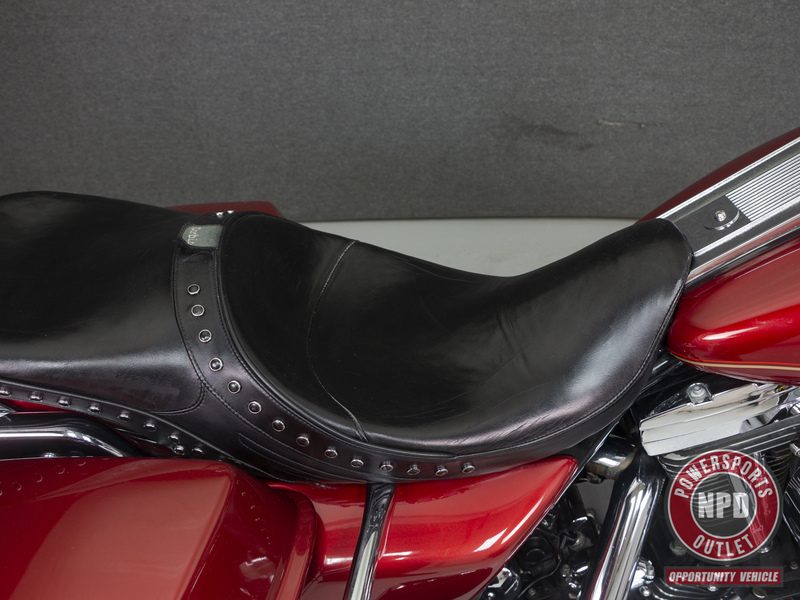 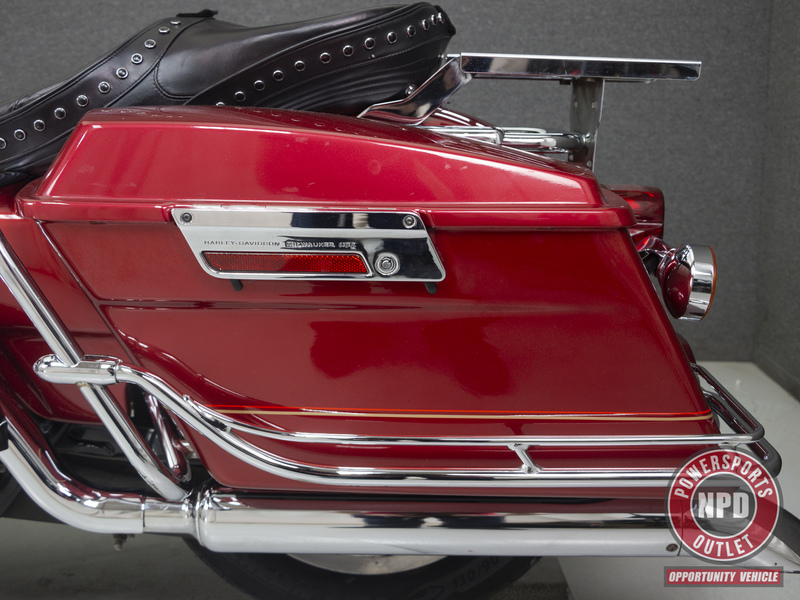 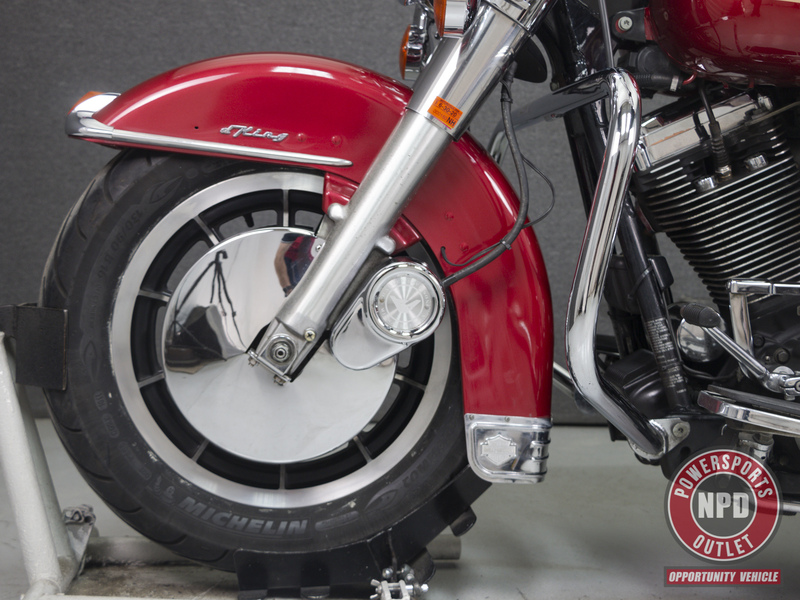 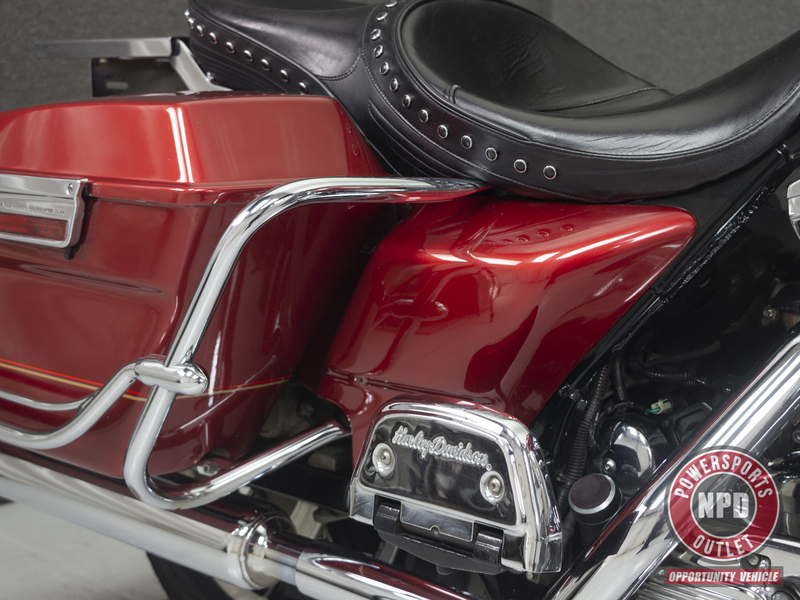 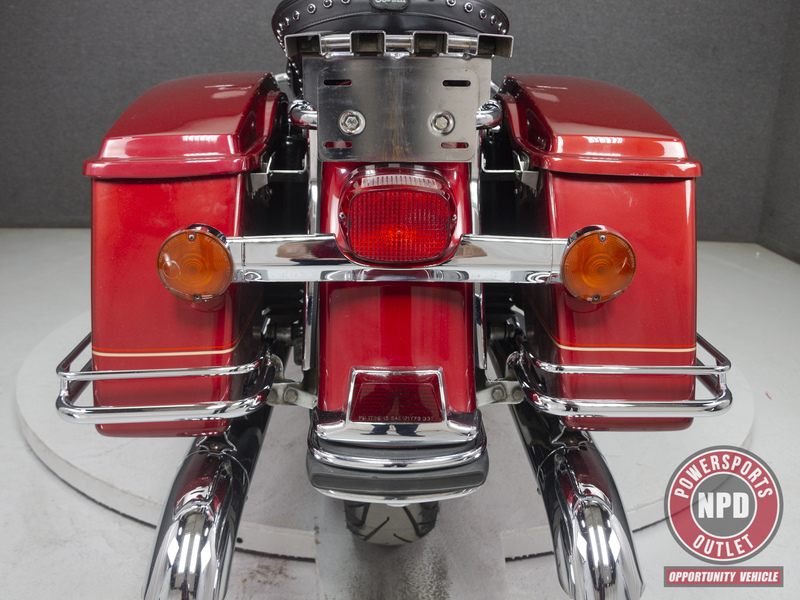 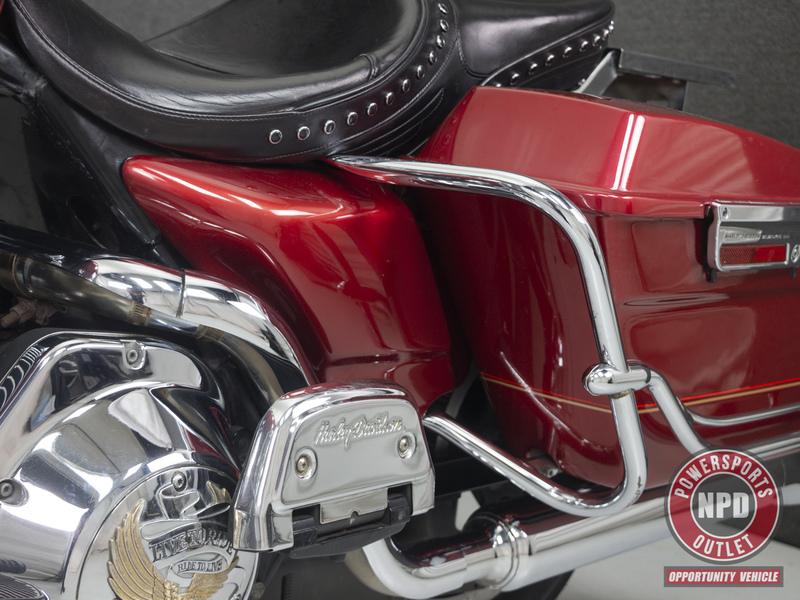 This bike has been upgraded with an aftermarket Exhaust, Open air intake, a Corbin seat, Rotor covers, Oil line cover, a Luggage rack, Saddlebag guard rails, Grips, Passenger footboard covers, a Shift rod cover, "Live To Ride": Mirrors, an Air cleaner insert, and a Derby cover. 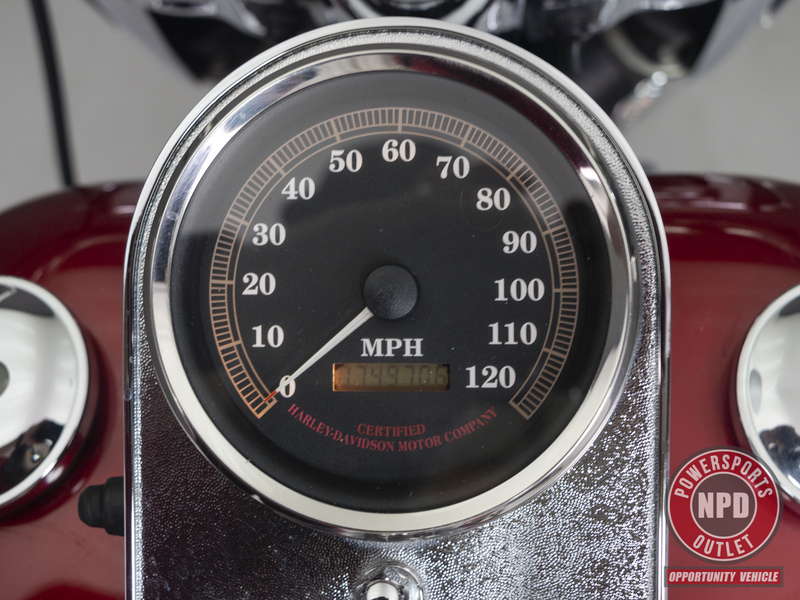 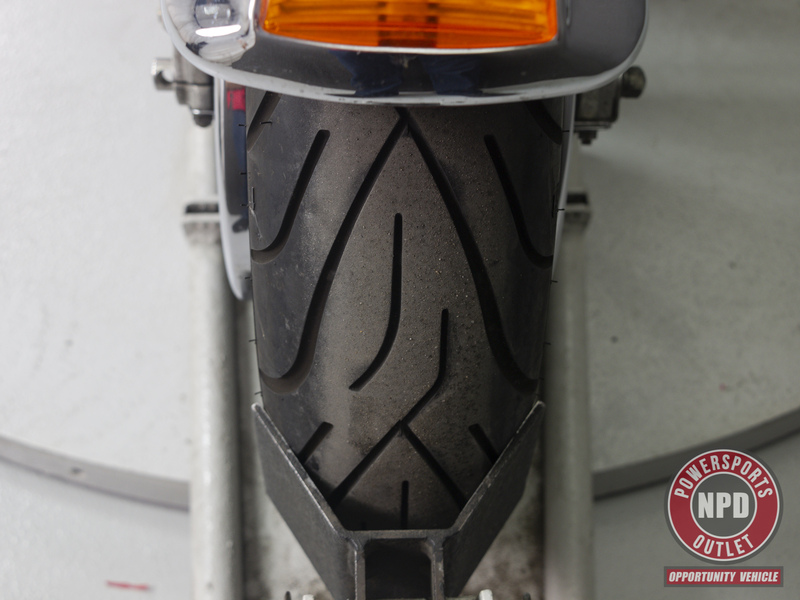 During inspection, our technician noted a broken front engine mount, some play in the handlebar riser bushings, and that the odometer display functions intermittently.